Good quality, thick universal motorcycle cover, protect you vehicle from the dust, rain, UV,etc. Your ride is your pride and joy. Give it the respect and protection it deserves with these incredibly convenient Motorcycle Covers! UV-treated, water-repellent material keeps your bike looking just as good in the off-season as it does on the road. Beat back dust, moisture, sun damage and bird mess from marring your machine's finish, so you can get rolling! 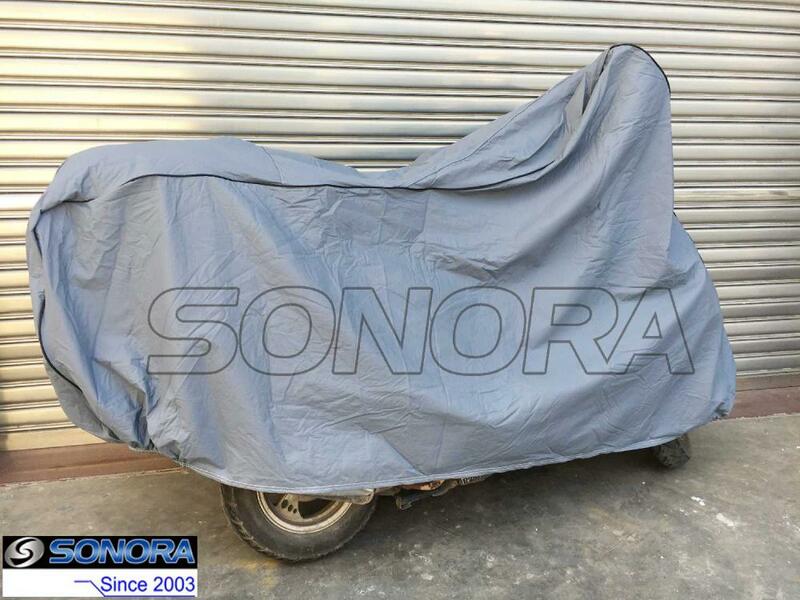 We can supply different sizes of motorcycle covers, scooter covers, ATV covers, Go-karts cover,etc.Once you have some motorcycle covers you prefer, please feel free to tell us. Looking for ideal Universal Motorcycle Cover Manufacturer & supplier ? We have a wide selection at great prices to help you get creative. 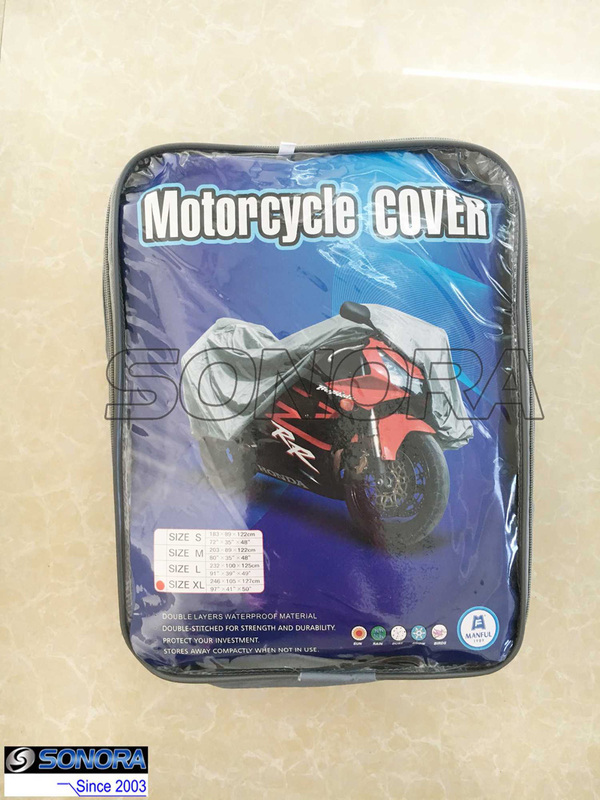 All the Motorcycle Cover Water Resistant are quality guaranteed. 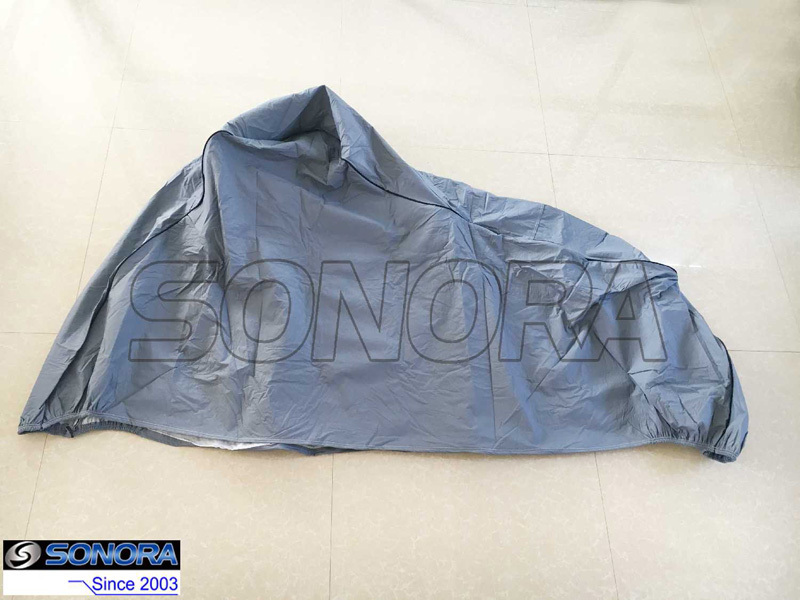 We are China Origin Factory of Motorcycle Cover Protection. If you have any question, please feel free to contact us.